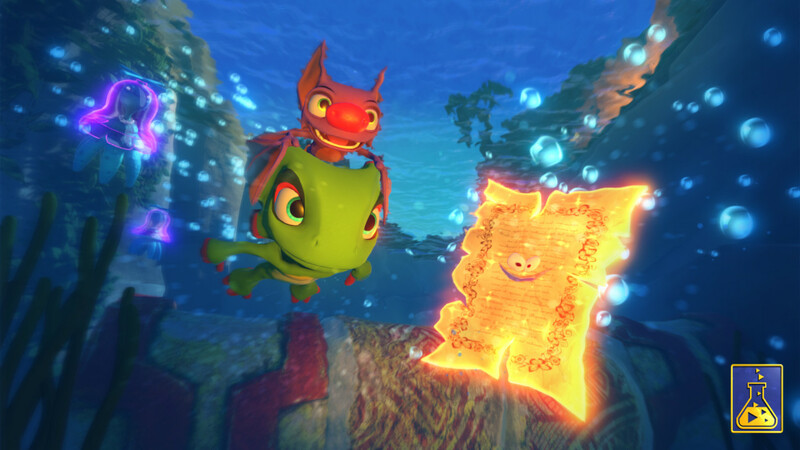 Yooka-Laylee; New Screenshots and Info! Well, okay. It’s not really new, since Playtonic posted the update earlier today and just about the entire internet has already posted about it. News travels quick in the gaming world after all! But with that said, what’s interesting in the update? 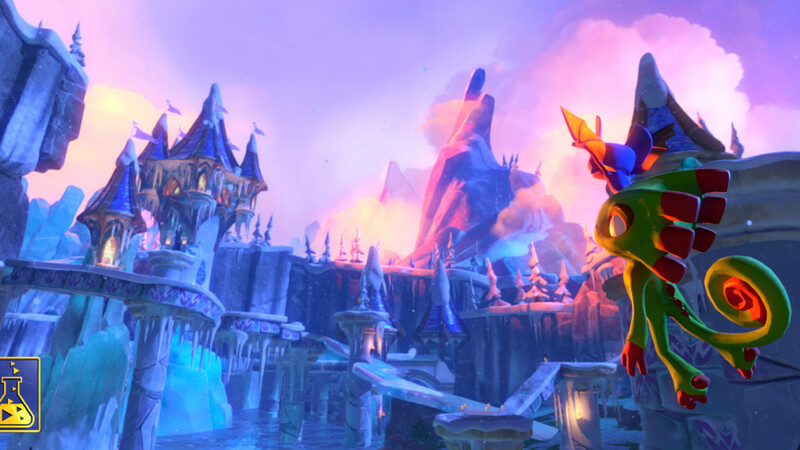 What interesting new information has Playtonic revealed about their game? Well for starters, there’s some information about when future news related to the game will be revealed. Part will be in May 26th’s issue of Edge magazine, and yet more of the game will be revealed at E3 this year. So that’s good news there and then, we might be seeing some more of the actual worlds and missions soon. There’s also now some interesting information about the main antagonist and storyline. Apparently, it involves an evil publishing company called Hivory Towers (led by evil executive ‘Capital B’) and a devious plan to absorb all the world’s literature and convert it into pure profit. If that sounds a little familiar… well, it seems like Playtonic are making a few playful jabs at the video game industry here. Indeed, given the history of the company and this game, it could be taken as an amusing comment about Rare and its buyout by Microsoft in the Gamecube era. Either way, the page also gives information about some extra characters. Namely the multi limbed scientist Dr. Puzz and her ‘traitorous former colleague’ Dr Quack. 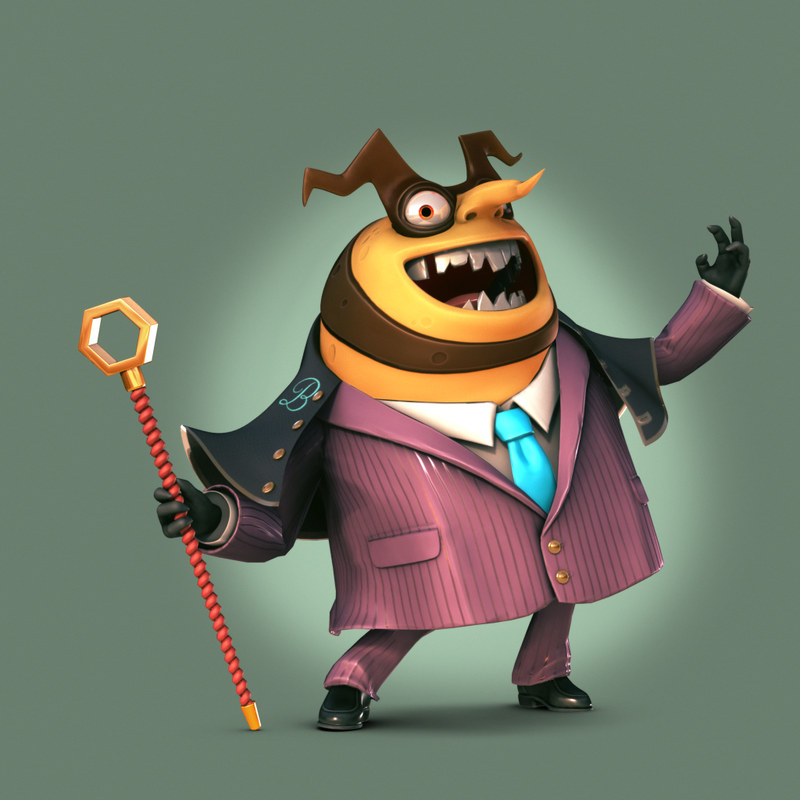 The latter has turned evil after his company was bought out by Hivory Towers, the latter is involved with the transformations that Yooka and Laylee can use in the game. Presumably these are a bit like the ones in Banjo-Kazooie (and the Animal Buddies in Donkey Kong Country 2/3/64), but the official site only says there’ll be more information on them in the future. There’s talk about the ‘Toybox’ part of the game, which lets Kickstarter backers test out some of the mechanics and gameplay features. It’s not your usual demo, since the content there isn’t actually from the finished game. It’s basically explained as a sort of test area for the game’s backers to see how everything works while the game is still in development. Seriously, it’d be like playing the official artwork for the Donkey Kong Country and Banjo-Kazooie franchises. Except because it’s 2016, we’re actually playing them rather than some best approximation. Either way, if you’re interested in the game (and to be honest, you really should be, it looks amazing), then go and read their latest update now. Seems like something interesting will be at E3 this year! New Super Luigi U; New Artwork and Screenshots! Screenshots of New Super Mario Bros 2 reveal new info!